Blog – Ammar Guni, director of Gokyo Treks and Expedition company working in this tourism industry over 17 years. During the course of time he creating, organizing, leading and guiding thousands of trekkers for trekking journeys throughout the Himalayas. So, on SundarNepal.com, he is sharing some thoughts. First of all, most of the trekking routes in Nepal will enter the higher Buddhist regions of an area. No matter wherever you visit Everest or langtang, your first indication of entering a Buddhist village will be the colorful prayer flags flapping in the wind on homes, monasteries, gombas and atop of hill mountain passes. You will also come upon stupas (Buddhist shrines), mani walls (large walls of river rock and flagstone with Sanskrit mantras written on them) or long walls of prayer wheels. It is custom and a sign of respect to always walk past or around these religious monuments on the left. That is, with your right side always closest to the object. Some good things that you need to know before you visit Nepal! If you are planning your trip to along the popular routes such as Everest Base Camp, Annapurna Circuit, Annapurna Sanctuary, langtang trekking … etc, your can find pure drinking water everywhere. Local shops and guest houses mostly selling bottled drinking water and some villages offers purified water stations (especially in Annapurna region) where you can fill up water bottles for $0.50 and save on the plastic. Every lodge, guest houses and shop sells bottled water. Typically charging $1.00 per liter bottle in average. On these treks, water filters and water purification tablets are really not needed. On treks in the more remote areas and when you are on a tented camping trek, we company provides you boiled water. It is recommended that you bring two bottles of 1-liter water bottles or a large hydration bladder to be filled up at the campsite. Hot water bottles are also nice for keeping you warm at night Tented camping. Wherever you go for trekking in Nepal, Local guide and porters are necessary in terms of safety and effective trip guidance. 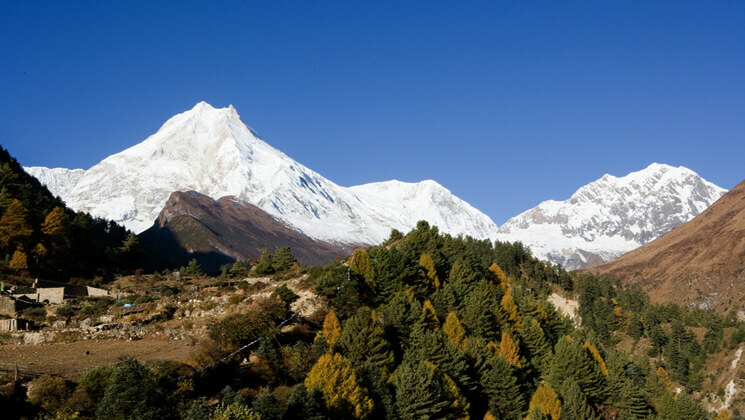 Having guide and porters even in popular trek routes like Everest Base Camp and Annapurna treks are recommended to safe yourself from unforeseen circumstances. However, don’t want the added expense? Then be ready to possibly carry a heavy pack, book your own guest houses – rooms, maybe get < off route. The trails in these areas are not fairly marked and there are not plenty of others trekkers on these routes if help is needed. Local guides can add a sense of connection and understanding to an area and by using porters you will need only to carry a day pack of around 12 to 15 pounds. If going on your first >trek in Nepal, it may be worthwhile to have the assistance of these experienced locals and, relative to the hard work they do. Sherpa is actually an ethnic group/ caste in Nepal who lives in the higher elevation on the mountainside. They are generally devout Buddhists, and even have their own language that is similar to Tibetan Buddhism. One who assists trekkers up a mountain isn’t inherently a Sherpa, nor do all Sherpas act as helpers on Mountain expeditions. However, as Sherpas are historically from the high altitude with well in acclimatized. Many sherpa guides and porters of Gokyo Treks and Expedition’s are hired locally who understand better about trek routes and religion who are living in higher altitude.